A nurse in Turkey told authorities she is tired of treating members from the Islamic State. The nurse, only known as E.G., works in a hospital in Mersin, which is on the coast of the Mediterranean Sea and across the ocean from Syria. The private hospital receives numerous Syrians since the civil war began three years ago. But E.G. is alarmed at the rise of wounded Islamic State terrorists transported to her hospital, especially since the group still has over 48 Turkish nationals, including women and children, as hostages. 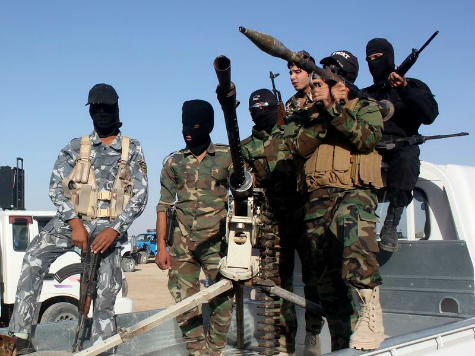 The jihadists captured the nationals from the Turkish consulate in Mosul, Iraq, on June 11. The men check in under fake names, including one of the leaders. Many of his bodyguards kept watch around the hospital. Many other ISIL commanders like him and soldiers have been treated at our hospital, and returned to war after the completion of their treatment. I don’t want to help these people. I want you to inspect these hospitals. And I am referring the owners of the hospital and its management to God. But other evidence shows Turkey’s decision might not be based solely on the hostages. The country has been connected to the Islamic State since the group rose to prominence in 2013. One Islamic fighter said the NATO country funds the group and the Islamic State would not be where it is now were it not for Turkey’s support. Turkey pledged allegiance to the Syrian rebels against President Bashar al-Assad and refused to secure its border with Syria. Many Westerners sneak into Syria through Turkey’s borders. CNN even did a feature on the jihadist secret route. Turkey has the most nationals in the Islamic State, outside of Arab countries.